Qi Wang is Professor and Chair of Human Development at Cornell University. 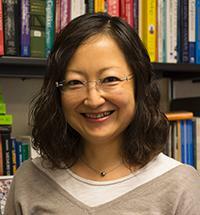 She holds a BSc in Psychology from Peking University, China, and a PhD in Psychology from Harvard University. She directs the Culture & Social Cognition Lab. Her research examines the mechanisms underlying the development of a variety of social-cognitive skills in the context of culture. Qi Wang has received many honors and awards, including the Young Scientist Award from the International Society for Study of Behavioral Development (2006), the Award for Distinguished Contributions to Early Research from the Society for Research in Child Development (2005), and the Outstanding Contribution to Research Award from SRCD Asian Caucus (2013). Her research has been frequently published in top psychology journals. Her single-authored book "The autobiographical self in time and culture" (Oxford University Press, August 2013) is regarded as the definitive work on culture and autobiographical memory. My research interests are at the intersection of cognitive and social development. Integrating developmental, cognitive, and sociocultural perspectives, my research examines the mechanisms underlying the development of a variety of social-cognitive skills, including autobiographical memory, self, future thinking, and emotion knowledge. I am particularly interested in how cultural beliefs and goals influence social cognitive representations and processes by affecting information processing at the level of the individual and by shaping social practices between individuals (e.g., sharing memory narratives between parents and children). Currently I am conducting studies to examine cultural effects on the perceptual, retention, and retrieval processes of episodic remembering; episodic future thinking in children and adults; autobiographical memory in the context of peer relations; and social-cognitive factors in the development of autobiographical memory in middle childhood (funded by NSF award# BCS-0721171). In addition, I have recently launched a new line of research to investigate the influence of social media on self and memory. For more information, visit Culture & Social Cognition Lab. Wang, Q., Hou, Y., Koh, J. B. K., Song, Q., & Yang, Y. (2018). Culturally motivated remembering: The moderating role of culture for the relation of episodic memory to well-being. Clinical Psychological Science, 6(6), 860-871. Wang, Q., & Song, Q. (2018). He says, she says: Mothers and children remembering the same events. Child Development, 89(6), 2215-2229. Wang, Q. (2016). Why should we all be cultural psychologists? Lessons from the study of social cognition. Perspectives on Psychological Science, 11, 5, 583-596. Wang, Q., & Koh, J. B. K. (2015). How will things be the next time? Self in the construction of future events among school-aged children. Consciousness and Cognition, 36, 131-138. Wang, Q., & Peterson, C. (2014). Your earliest memory may be earlier than you think: Prospective studies of children’s dating of earliest childhood memories. Developmental Psychology, 50(6), 1680-6. Wang, Q. (2013). Gender and emotion in everyday event memory. Memory, 21, 503-511. Wang, Q., Hou, Y., Tang, H., & Wiprovnick, A. (2011). Traveling backward and forward in time: Culture and gender in the episodic specificity of past and future events. Memory, 19, 1, 103-109. Wang, Q., Shao, Y., & Li, Y. J. (2010). “My way or Mom’s way?” The bilingual and bicultural self in Hong Kong Chinese children and adolescents. Child Development, 81, 2, 555-567. Wang, Q. (2008). Emotion knowledge and autobiographical memory across the preschool years: A cross-cultural longitudinal investigation. Cognition, 108, 117-135. Wang, Q. (2008). Being American, being Asian: The bicultural self and autobiographical memory in Asian Americans. Cognition, 107, 743-751. Wang, Q. & Ross, M. (2007). Culture and memory. In H. Kitayama & D. Cohen (Eds. ), Handbook of Cultural Psychology (pp. 645-667). New York, NY: Guilford Publications. Wang, Q. (2006). Relations of maternal style and child self-concept to autobiographical memories in Chinese, Chinese immigrant, and European American 3-year-olds. Child Development, 77, 6, 1799-1814. Wang, Q. (2006). Culture and the development of self-knowledge. Current Directions in Psychological Science, 15, 4, 182-187. Wang, Q. (2006). Earliest recollections of self and others in European American and Taiwanese young adults. Psychological Science, 17, 8, 708-714. Wang, Q. (2004). The emergence of cultural self-construct: Autobiographical memory and self-description in American and Chinese children. Developmental Psychology, 40, 1, 3-15.